Scores 4.3 out of 5 from 23 Amazon Reviewers. The new Tour V4 rangefinders from Bushnell are both faster than previous V3 and approximately 30 percent smaller and more ergonomically designed. The V4 utilizes JOLT Technology, which vibrates when the unit locks onto the target. 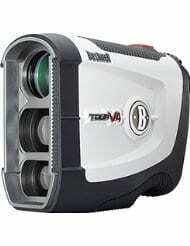 Other features of the Tour V4 include accuracy within one yard, 400-yard range to a flag, 5x magnification, a fast focus system, and rainproof performance.This fantastic rangefinder can be used in many types of weather with its rainproof construction and its ergonomically designed shape that provides a stable grip. 5x magnification and a range performance of 5 yards to 1000 yards allow you to pick you target with easy no matter how far away it is. Finally this Bushnell Tour V4 Rangefinder has a secure Posi-Thread battery door. If you know your distances, just pick you club and swing away attacking your target! 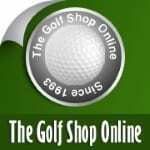 Trusted UK based golf store with Head Office in Newton Abbot. Free delivery on all orders. Scores 9.7 out of 10 on TrustPilot. Delivers to the UK and Europe. VOUCHER CODE PRICE INCLUDES OUR DISCOUNT - Ends 30th April 2019. 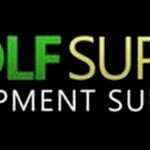 Trusted UK based golf store with Head Office in Nottinghamshire. Delivers to the UK and Europe. Trusted UK based golf store with Head Office in Kent. Delivers to the UK and Europe.